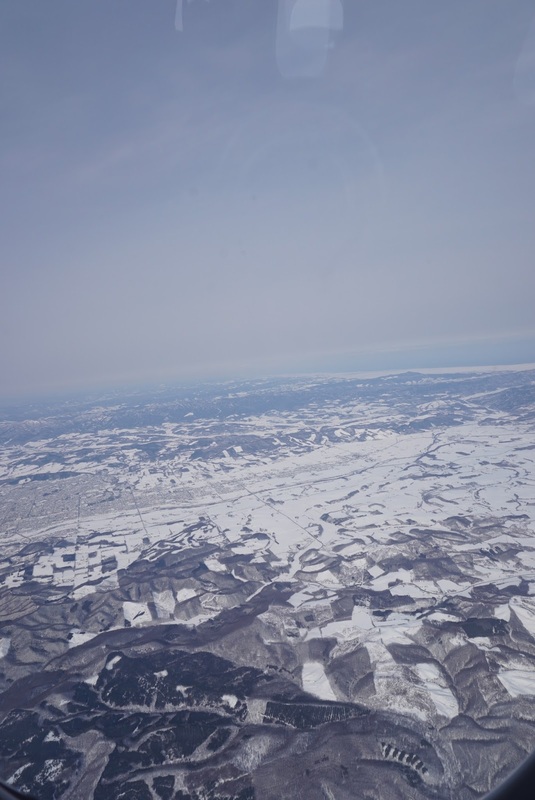 There are only 2 airlines that flies from Memanbetsu Airport – ANA and JAL. 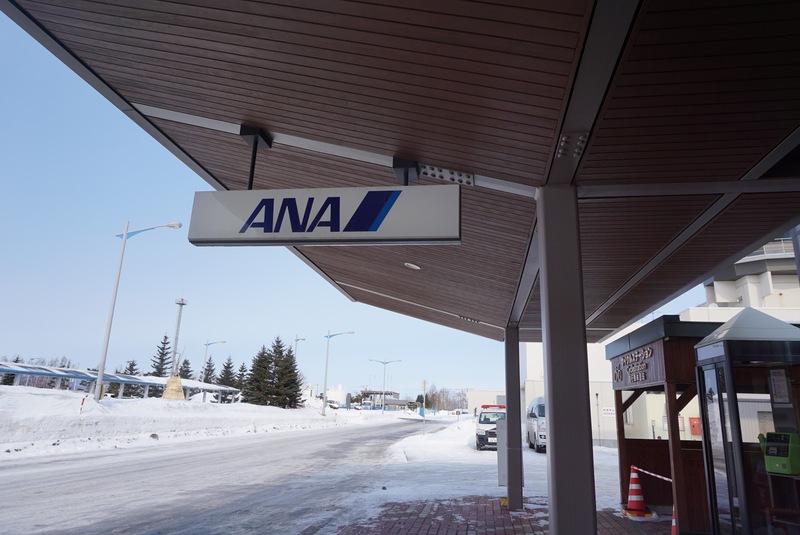 The check-in for ANA in Memanbetsu Airport is located on the 1st floor of the terminal building, on the left most side of the airport. 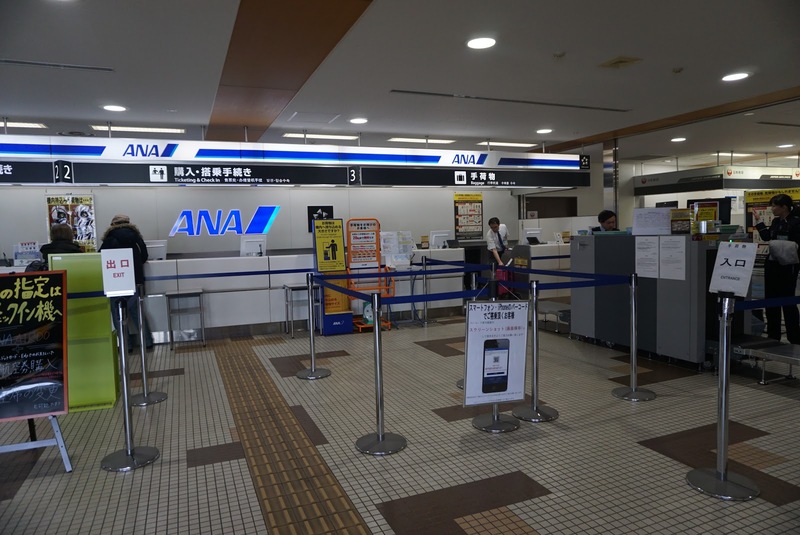 There are 3 ANA check-in counters in Memanbetsu, with counter 3 being the counter that takes check-in luggage. We did not have to wait for our turn to check in as there are no one in the queue. ANA has a straight to gate service for passengers without check-in luggage, which could be the reason for no one at the queue for check-in. Checking-in was very fast, after the staff at the counter verified our names on the system, she handed over our boarding passes to us. 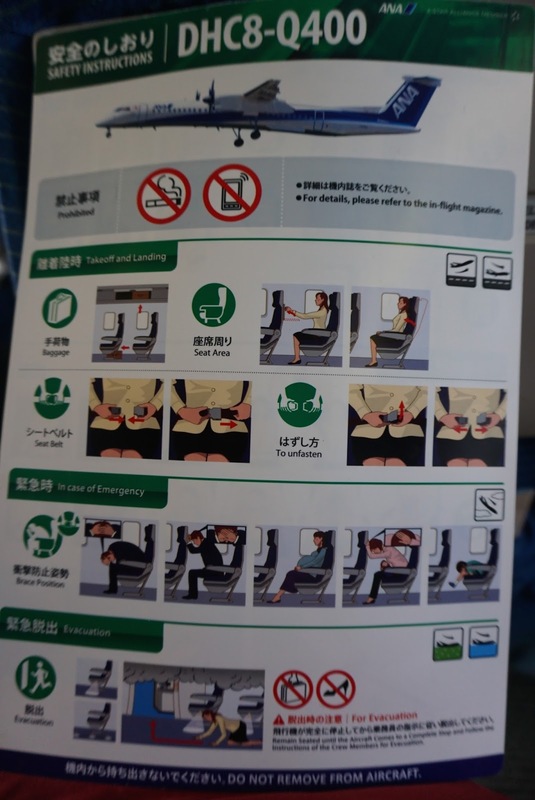 We were also briefed on which gate to go to and the boarding time for the short 50 min flight to New Chitose Airport. 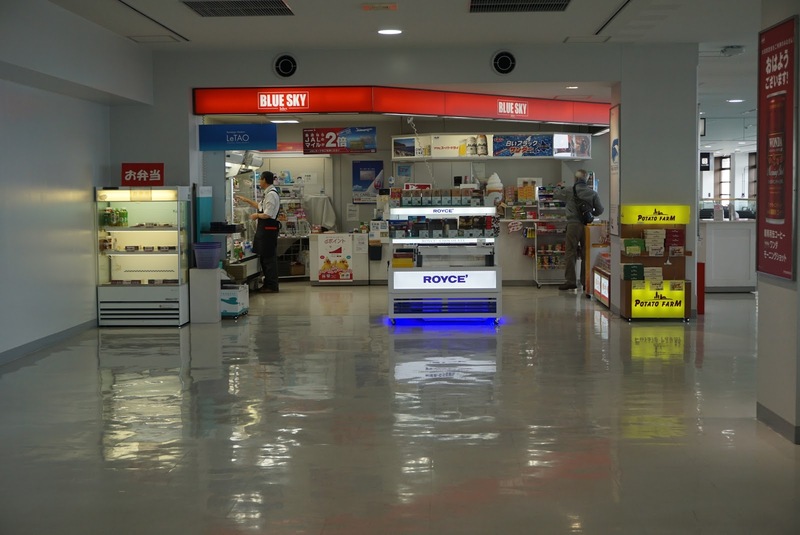 As we have luggage to be checked in, the staff at the ANA counter invited us to the x-ray machine in front of counter 3. After our luggage has been scanned by airport security, the ANA staff at counter 3 took over our luggage for checking-in. 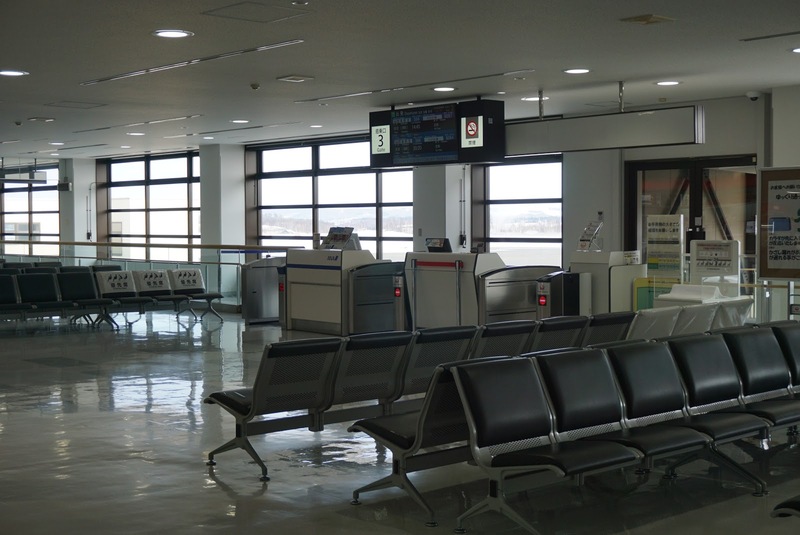 Departure halls in Memanbetsu Airport is located on 2nd floor of the terminal building, where security checks are being done before we are allowed into the airside of the terminal building. 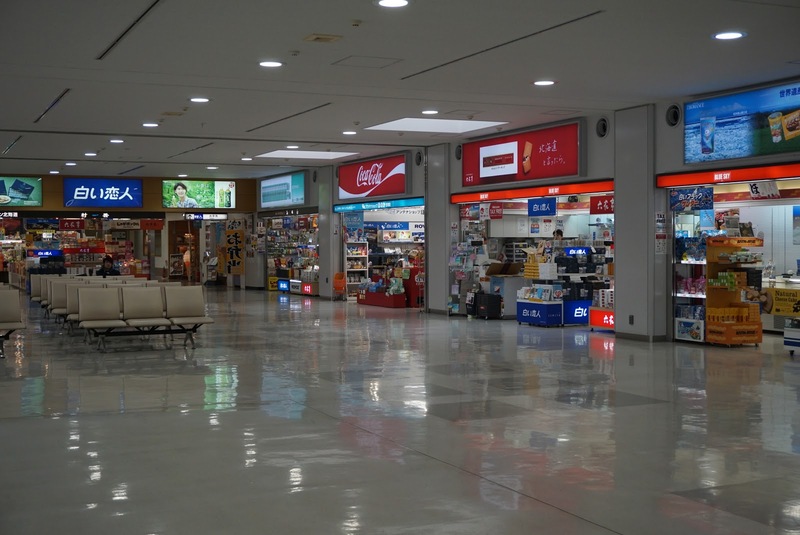 Memanbetsu Airport is a very small domestic airport, there are not many shops around in the airside. Our flight departs from Gate 4, where the announcement for boarding was done soon after we arrived at the airside. Boarding was done fairly fast at Gate 4. 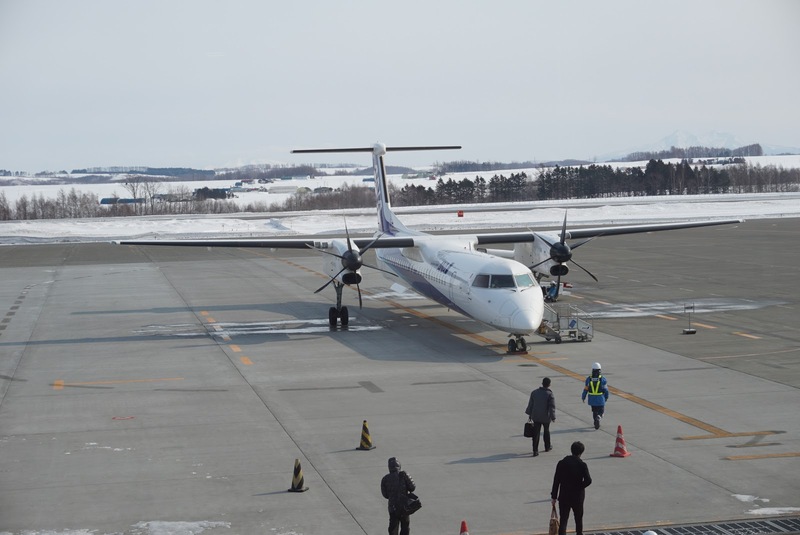 As there are no aerobridges to the aircraft, we headed down to level 1 and out onto the tarmac to board ANA4862 bound for New Chitose Airport. 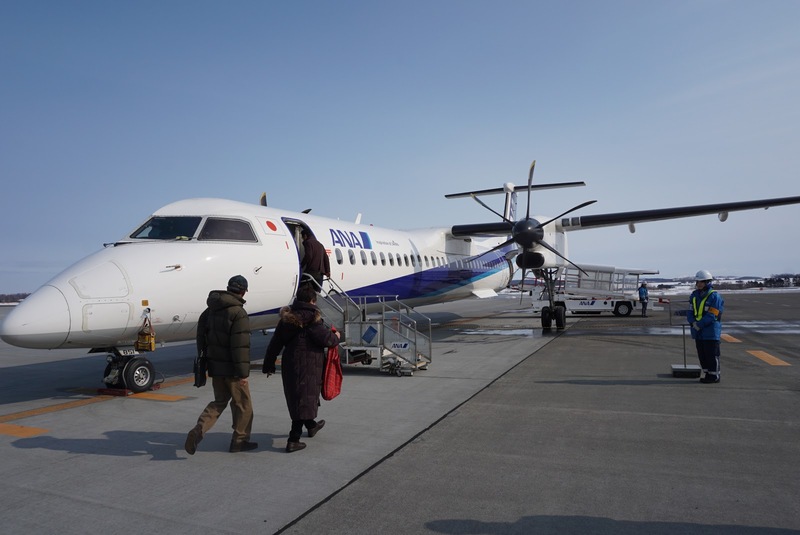 ANA uses the twin propeller engine Bombardier DHC8-Q400 for the flight to New Chitose. 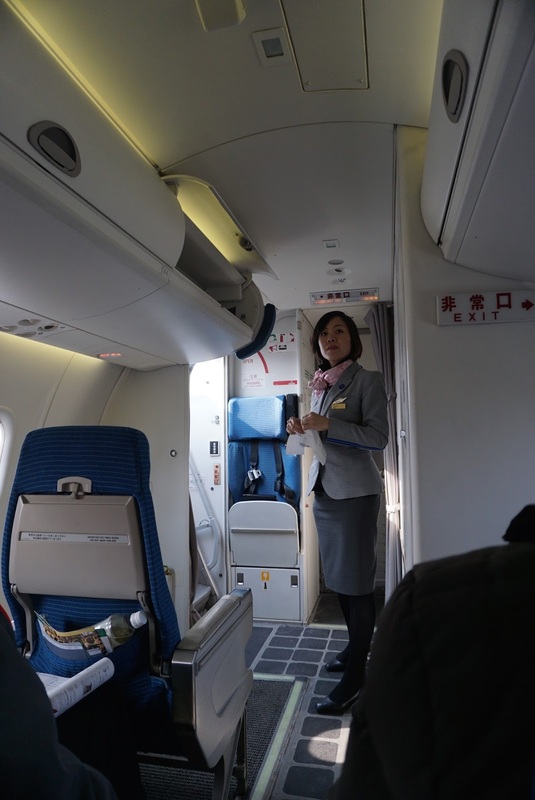 The aircraft only has one class, with a total of 74 Economy Class seats arranged in 2-2 configuration. The cabin is decked out in the iconic ANA shades of blue seats and white cabin. 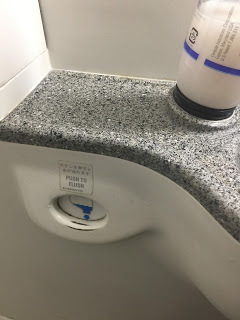 There is only one lavatory onboard ANA4862, located in front of the aircraft, behind the cockpit. 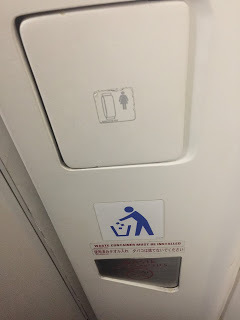 Despite being small, the lavatory has all the basic necessities. 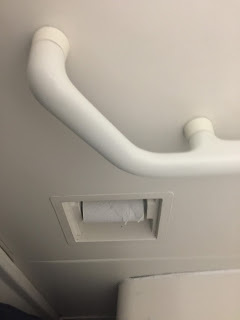 The amenities in the lavatory is limited to handsoap and tissues. 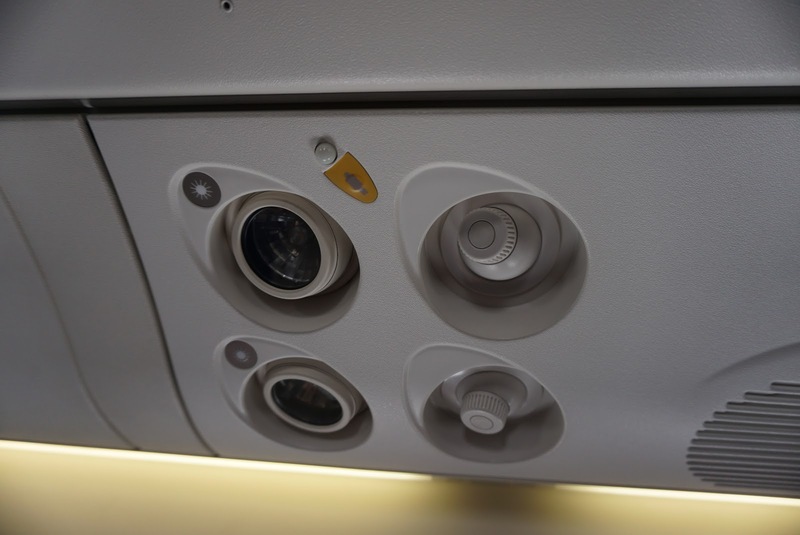 All the 74 seats onboard has a pitch of 31″ and width of 17″. The legroom is very good considering it being a single class aircraft. As this is a domestic flight, there are no IFEs onboard. 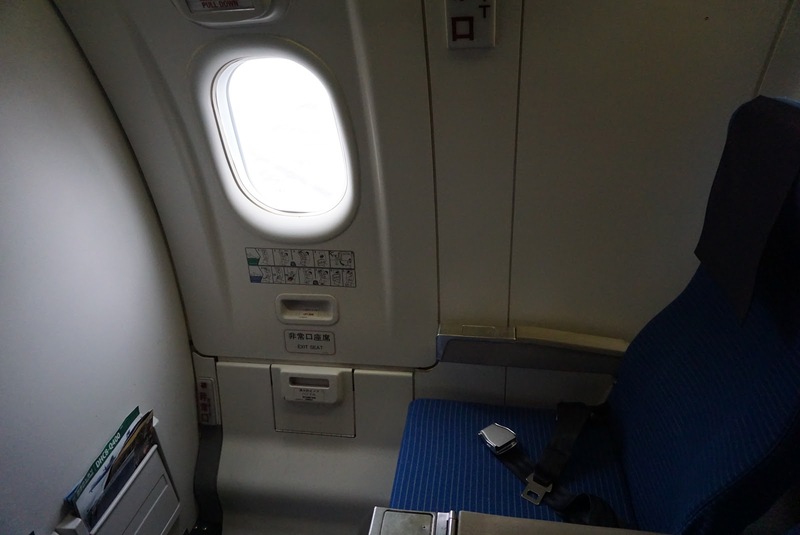 The seats on board are very basic but comfortable for the 50 min fight time to New Chitose Airport. 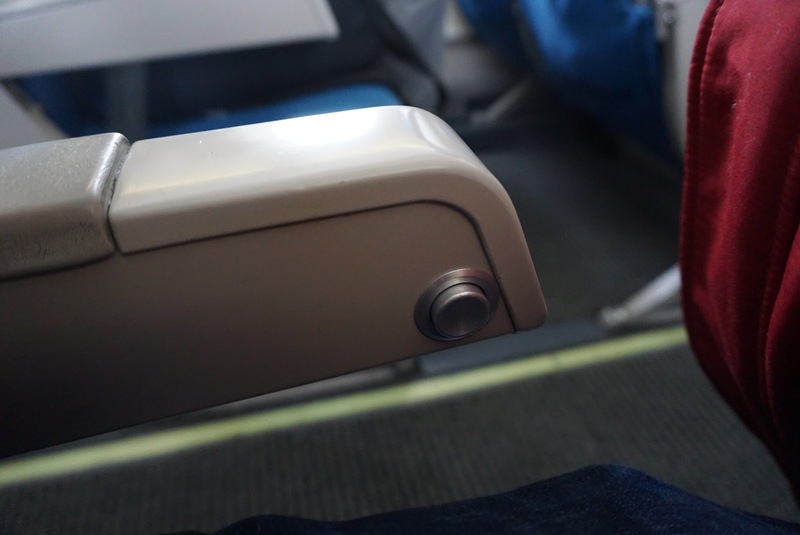 There is only a button on the armrest for passengers to reclining the seats. 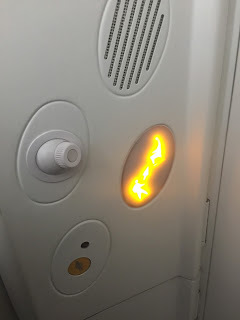 The control for lighting is located on the ceiling above our seats. 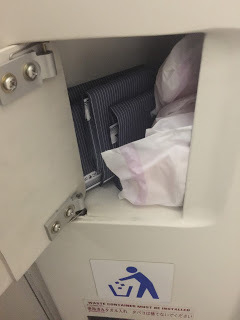 The reading materials are stowed in the single compartment large seat pocket. 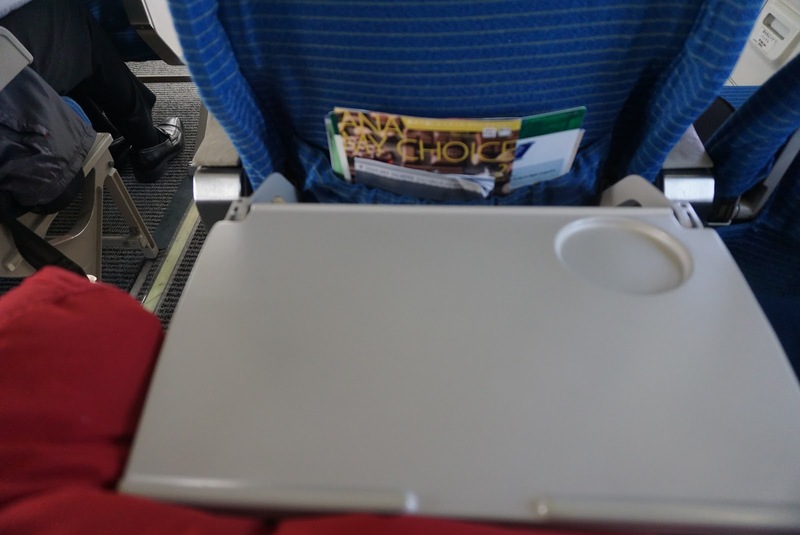 The single piece tray table is large enough for one to put a 13″ laptop on comfortably. Due to the short flight time, no food or snacks are served onboard. 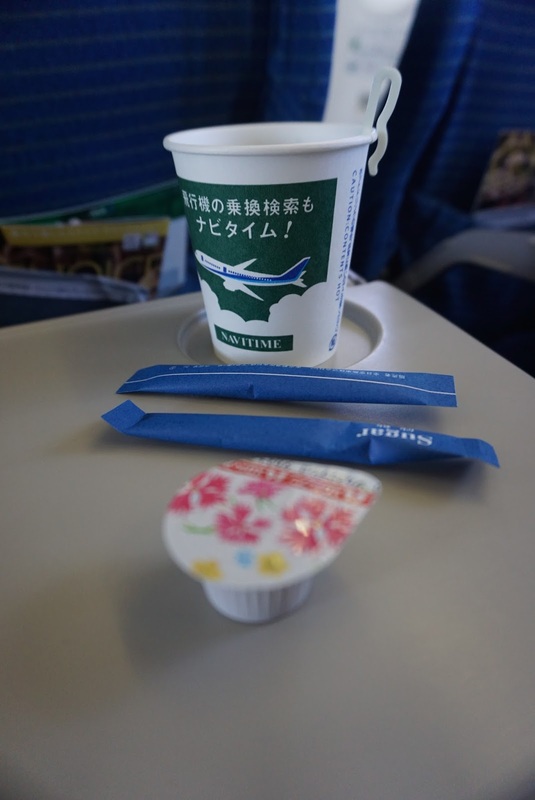 Soon after the seat belts signs are off, both pursuers quickly jumped into action to serve passengers either coffee or tea. 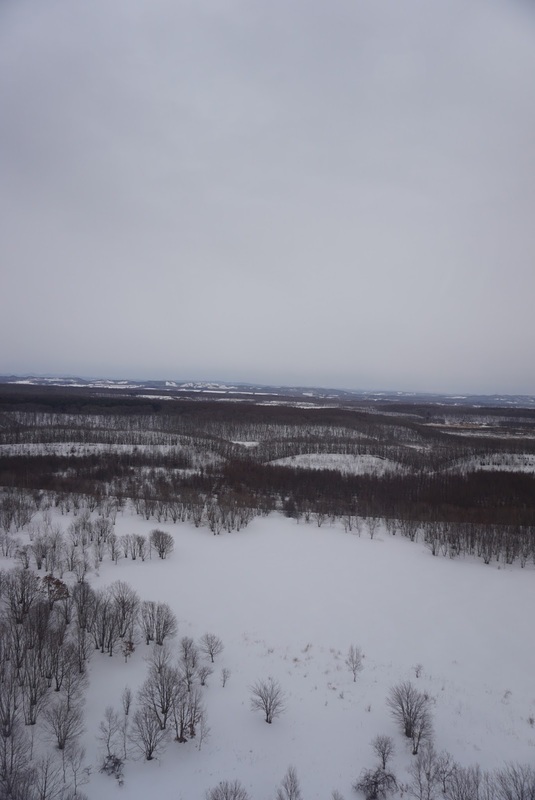 Pursuers went around the cabin 2nd time to check if passengers need more drinks. The service on the ground and onboard are fantastic. On the ground, the staffs are very welcoming and did not allow us to wait for too long. 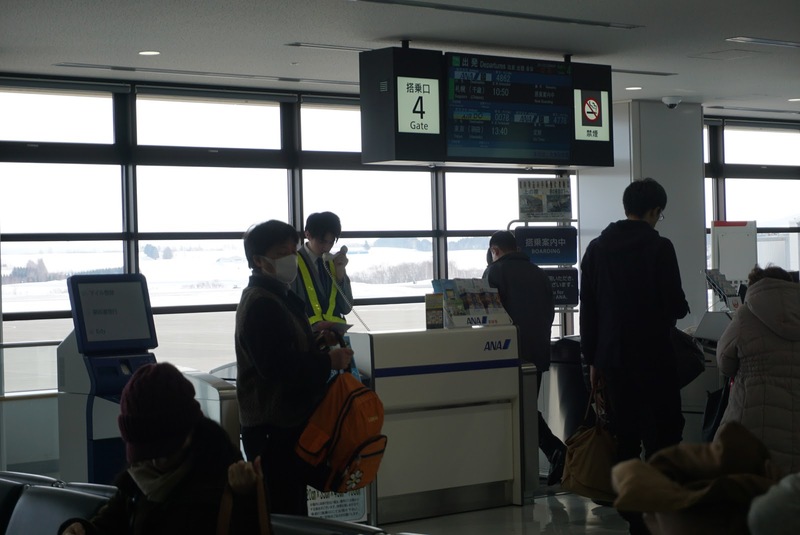 After checking-in, the ground ANA staffs thanked us for flying with ANA. Instructions for checking-in of luggage and departure information were given very clearly in the excellent Japanese style service. Despite only having 2 pursuers onboard, service is by no means lacking. 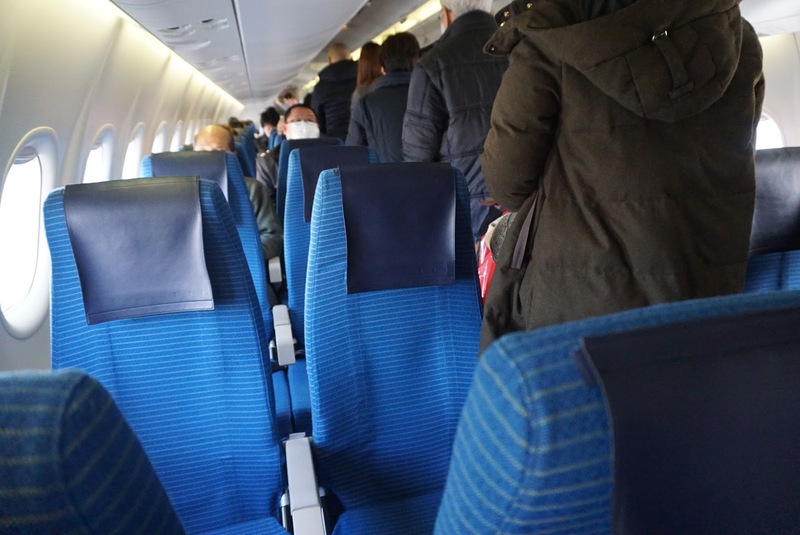 Pursuers were seen bowing to passengers during boarding and would go around helping passengers stowing their carry-ons in the overhead compartment. 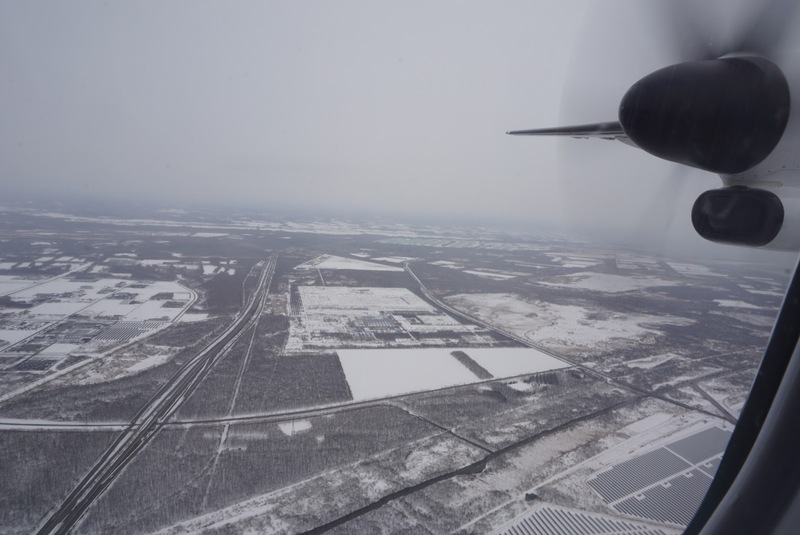 The pursuers would bow and thank passengers for flying with ANA when taxiing for take off. They are also seen smiling to passengers throughout the 50min flight to CTS. When serving drinks. the pursuers kept their smiles on. 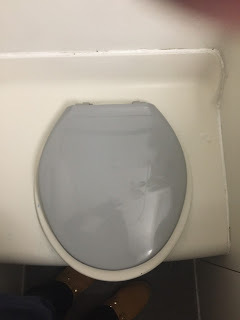 I noticed that the pursuers would always check cleanliness of the lavatory whenever passengers used the toilet. These friendly pursuers made me feel welcome and wanted to try their product on International Sectors. 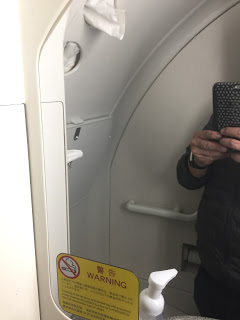 At no time I witness pursuers not smiling throughout the flight. During disembarking, these friendly pursuers were seen bowing to passengers and thanking them for flying with ANA. 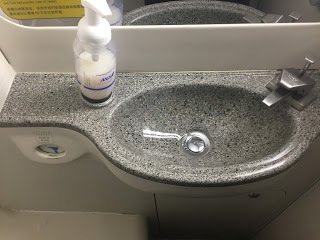 My experience with ANA flying on their Bombadier DHC8-Q400 is a very pleasant one. 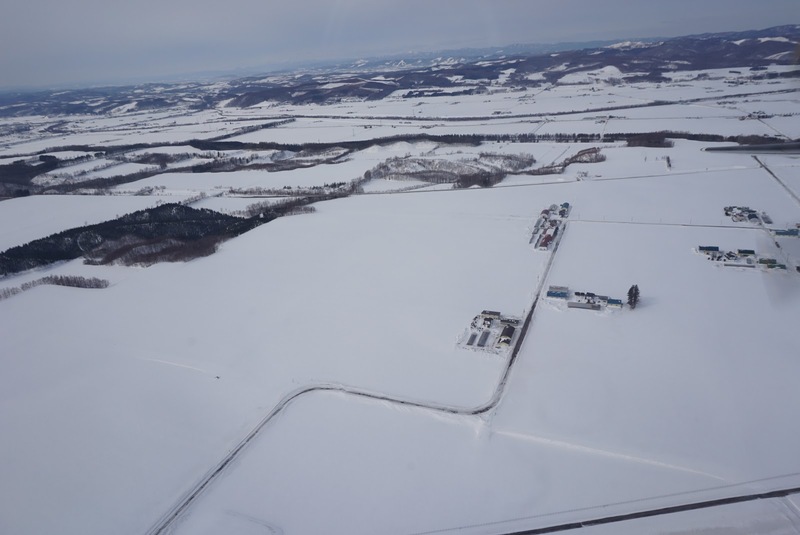 The aircraft is very well maintained and the flight was very smooth. Despite in Economy Class, the legroom is superb. The service is top notch from check-in to onboard services. Despite having only 2 pursuers onboard, the service is by no means lacking. Pursuers are seen smiling all the time and helping passengers, displaying pride in their work despite being a domestic route. Such service is far better than some renowned international airlines and definitely better than the Business Class I flew into Hokkaido onboard Thai Airways. 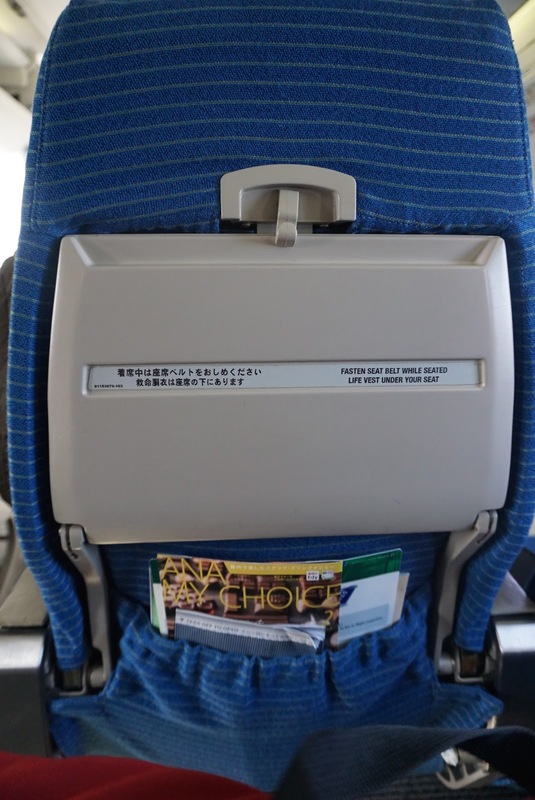 This short experience with ANA made me want to fly on their international routes.